Trailing Kiiza Besigye:Day Four :I don’t know how true but……. There is some uncertainty in the press corps camp attached to Kiiza Besigye.Pruning apparently is being done, one at a time, depending how one utilizes their pen/laptops etc.. 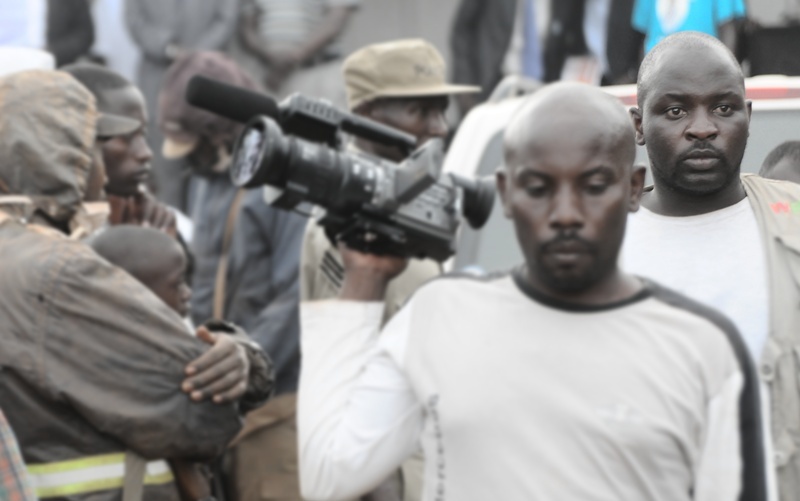 Rumor has it that one WBS TV reporter is being recalled to Kampala due to his good coverage of Kiiza Besigye. His bosses were not happy. These reports are not officially confirmed but yes, time will tell. For now, it’s rest day in Masaka as Kiiza Besigye is in Kampala meeting diplomats we were told before resuming his campaigns in Lwengo on Friday 5th. I am headed back to Kampala to cover the PAM Awards slated for Saturday before resuming the campaign trail of Kiiza Besigye. I thought WBS TV was a hotbed of opposition support? And just how can someone ‘over cover’ Besigye when actually that is what he/she is supposed to be doing?